A brief look at at some of what it takes to bring AOWR Media and its brands to life. Faster than could be imagined, the MaHDD Energy™ brand™ is steadily gaining traction in the Atlanta area and online. Boasting an approximate 525% increase over the lowest recorded month of listenership, the radio station continues to retain and acquire engaged listeners. There are two shows under the MaHDD Energy™ umbrella. 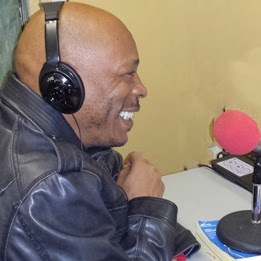 The Swankie Don hosts MaHDD Energy Radio every morning during the week (except Wednesdays) from 8:00AM EST. to 12:00PM EST. The show is also broadcasted on ATL Xclusive Radio during this time. The show's host, the Swankie Don, shares his deeply comforting voice and provides supportive companionship and encouragement while spinning fresh and new music to listeners on the way to work or doing other tasks while listening to the show. The Swankie Don, aka., Shawn "Danskie" Ryan, is an international artist/DJ from Antigua. His music, including the recent 2014 release, Tek It To Dem, is available via CDBaby and other online distributors. On Saturdays, the Swankie Don broadcasts the MaHDD Energy Show via Atlanta's Incredible Radio, WIGO 1570AM. WIGO provides Caribbean-American programming on Saturdays beginning from 12:00 PM with Lady D. The MaHDD Energy Show is from 4PM to 6PM EST. Wednesdays also finds the Swankie Don broadcasting from 6PM EST to 9PM EST on ATL Xclusive Radio, the heartbeat of the streets. 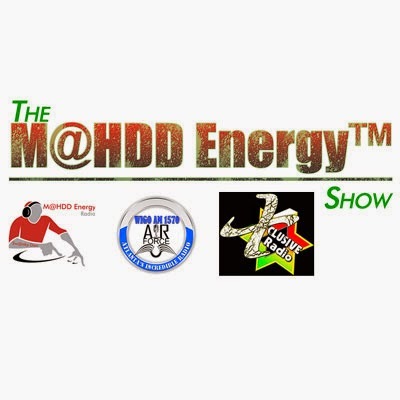 All shows are recorded and available from the MahDD Energy website. To learn more about the MaHDD Energy and the services it provides, visit the website at http://www.mahdd.com. The press kit can be found at this link. MaHDD Energy and King Danskie are trademarks of AOWR Media LLC. Copyright AOWR Media LLC. All rights reserved. . Picture Window theme. Powered by Blogger.